These are just a few of the many that are grown on a wide scale. Cherries are used in so many products from candies, gums, jellies, pastries, cake, donuts, muffins and so on. But what is even more amazing is the vitamins these fruits contain and the benefits they have. Vitamin A, Vitamin B-6, Vitamin B-12, Vitamin C, Vitamin D, Vitamin E, Vitamin K, Iron, Calcium, Magnesium, Potassium, Dietary Fiber, Protein, Niacin, Thiamin, Copper, Phosphorus, Zinc, Manganese, Carotene-B, Carotene-a and Lutein-zeaxanthi. These are only a few of the many benefits of including cherries in your diet. 1. Cherries can be stored up to a week in the refrigerator. They can be placed in plastic bags, remember to remove the air so they can maintain their freshness. 2. If storing at room temperature cherries should be consumed in 2-3 days. 3. Keep cherries dry at all times, the only time to wash cherries if you are going to eat them right away. Washing cherries and allowing them to sit for more than a day or two will cause cherries to turn mushy. 4. 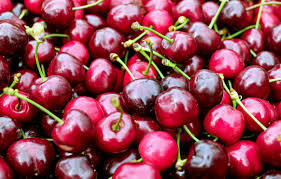 When placing in the fridge ensure they are in a plastic bag because storing cherries in an open container next to other foods such as onion, garlic etc.. will cause cherries to have those taste. Can you imagine eating cherries that taste like onion or garlic? Cherries are a superfood that can do wonders from exciting our taste buds to boosting our bodies with those much-needed vitamins also promoting natural healing. So give these superfoods a try and receive all the benefit these fruits offers. I love this website. It is bright, informative and I love the photos. They are gorgeous. I love gardening so this site was very interesting for me and I learned some more good things while visiting. Hello Vicki so happy to meet you, glad I could help and thanks for those kind words. All the best to you and have a good day. Wow! I.need to go.get me some cherries right now. 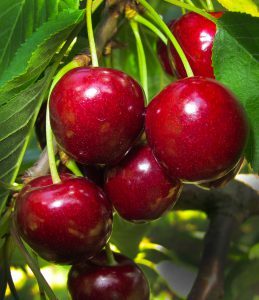 Awesome information right here about cherries. I grew up climbing in a friend’s mulberry tree with an empty paper cup in hand. Where I live now, we have will blackberries ( everyone calls them dewberries) all over the place. I can’t eat them anymore because of a medical condition that prevents me from eating things that don’t completely digest (the seeds). It is so good to hear of your experience of climbing and picking cherries, oh the memories of our childhood days how sweet. So sorry to hear of your medical condition. Will keep you in my prayer that you will be able to eat and digest them again. Have a wordeful day my friend. I’ve always loved cherries but I never knew there were so many different kinds! And all these benefits too. I will definitely try to incorporate it more into my diet. Thank you for a great informational read. your site is gorgeous! everything is crisp and clean – just like that amazing fruit making me crave cherries! your article is informative and well written. beautiful site, beautiful article and I look forward to exploring the rest of your site to read more! glad I found this! There are so many benefits to eating cherries, I had no idea! I have always knew fresh fruits and veggies are healthy and I often eat them fresh from the garden, but had no idea the benefits of this amazing fruit! I have been looking to learn more about gardening and what I can and should be growing so this also helps me. thank you! Hello so good to meet you and thanks so much for those kind words, I am so happy that I could help. All the best to you and have a good day.